When Christina told Olivia she wanted a huge, hot guy of her own, she didn't expect this blue-haired merman to make her heart and body yearn for him. And she definitely didn't expect him to read her thoughts or shape shift. One of King Nereus' generals and on the lookout for Titan activity, Palaemon shouldn't be wasting his time playing underwater taxi for this mortal female with the supple curves and uncensored thoughts. Then again, there's a lot more he shouldn't be doing with her, but the alternative is so much more enjoyable. 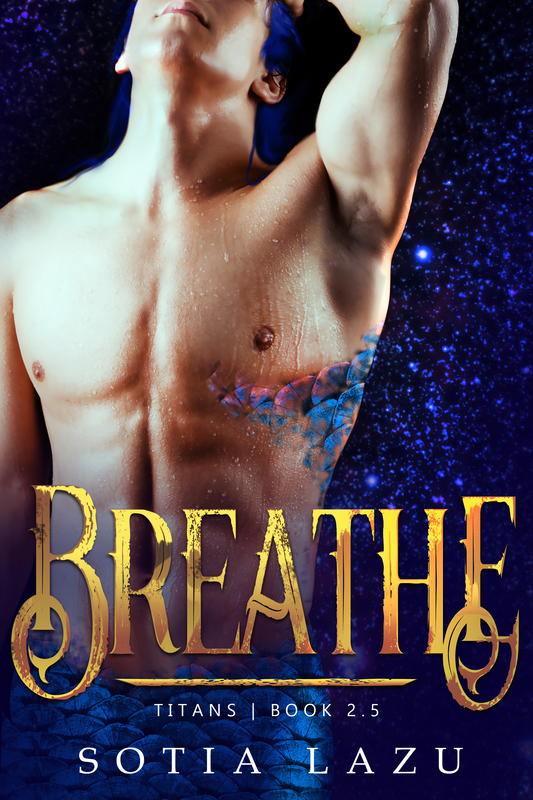 Sign up for my newsletter and get a copy of my novelette, Breathe, delivered to your inbox! Newsletter subscribers also get other exclusive FREEBIES, first looks at my excerpts, covers, and teasers, as well as sale and new-release info. Enter your name and email address below, to start reading Breathe now! and I'm so excited to see you here! Now relax and wait for your FREE story!